Are heat pumps in Scotland a good investment? How do they work and what are the benefits? The Renewable Heat Incentive (RHI) was introduced to help kick-start the transition to low-carbon heating in the UK, giving help to all in moving from conventional forms of heating to low-carbon alternatives. The scheme provides financial incentives to households and non domestic consumers, including public bodies and charities. It is designed to help bridge the gap between the cost of renewable heating systems and those of conventional alternatives. People who join the scheme and stick to its rules receive quarterly payments for seven years for the amount of clean and green renewable heat their system produces. Since opening in April 2014, the scheme has already seen thousands of people successfully join and receive payments. That is why the Government is reforming the scheme to ensure it focusses on long-term decarbonisation. It made a number of adjustments as a result of a recent consultation process. The consultation proposed several changes to the existing domestic RHI scheme. Below is a summary of the UK Government’s final proposals in relation to the scheme, which the UK Government intends to implement in spring 2017. 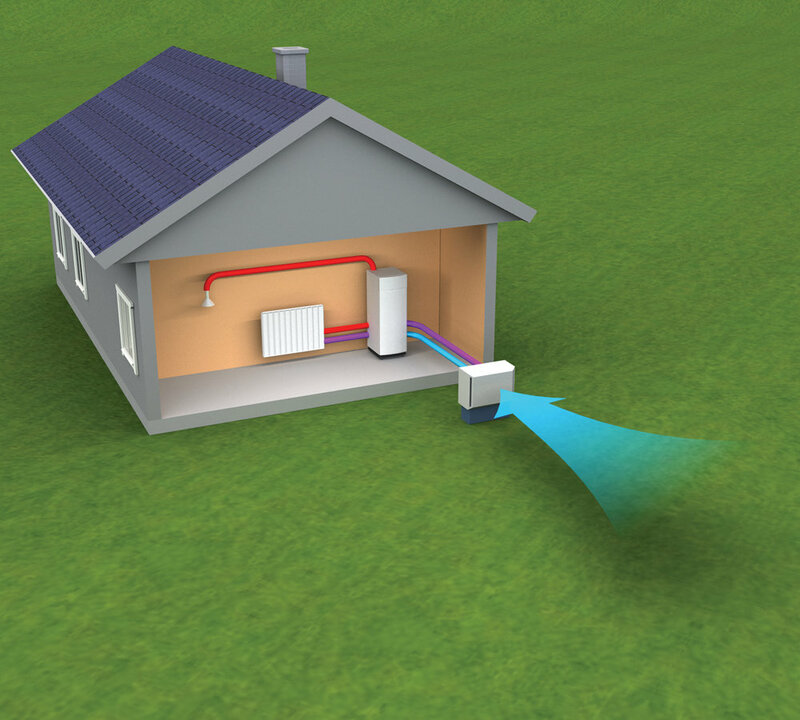 · The tariffs for new ASHPs (air source heat pumps) will be increased to 10.02 pence per kilowatt-hour (p/kWh). · The tariffs for new GSHPs (ground source heat pumps Scotland) will be increased to 19.55p/kWh. · The increased tariff for biomass boilers and stoves, ASHPs and GSHPs will be applicable to those participants who apply to the scheme on or after 14 December 2016 (the date the consultation response was published) although the increased tariffs will only apply from the date the regulations come into force. Participants will receive the existing tariffs for heat used (on the basis of either deeming or metering) before this point. This approach is intended to encourage consumers to continue to install renewable heating systems between the date of the consultation response and the date the changes come into force, to avoid a hiatus in investment and consequential impacts on the supply chain. · Heat demand limits will be introduced, to limit the level of annual heat demand in respect of which any household can receive support. The heat demand limits will be set at 20,000kWh for ASHPs, 25,000kWh for biomass boilers and stoves and 30,000kWh for GSHPs. However, this will not disqualify properties with higher heat demands from applying to the scheme. There will be no heat demand limit for solar thermal. · All new ASHPs and GSHPs applying for support under the scheme will be required to have electricity metering to monitor their heating system. However, payments will continue to be on the basis of the deemed heating requirements of the property, except for second homes and where a renewable heating system is installed alongside another heating system, in which cases payments will continue to be on the basis of heat metering. · GSHPs making use of a shared ground loop will continue to be eligible for the non-domestic scheme and will not be eligible on the domestic.